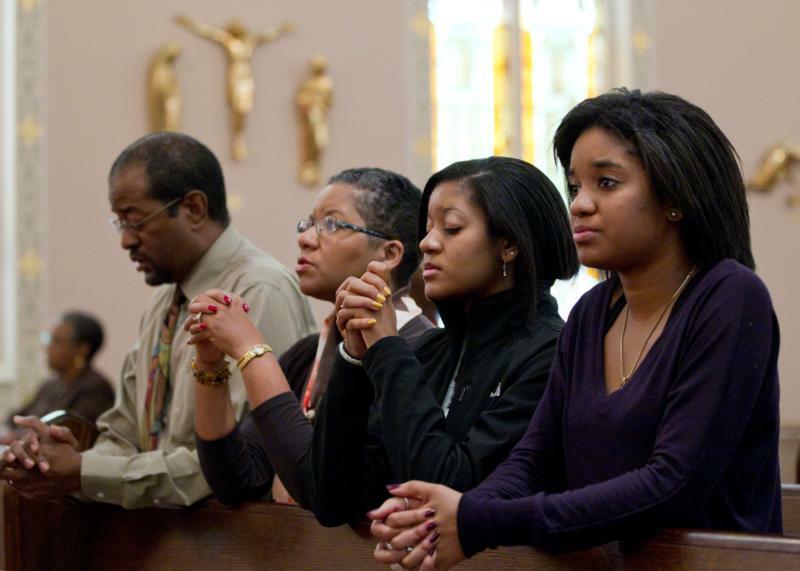 NEW YORK (CNS) — For the 29th year in a row, people of all faiths are urged to observe a national day of prayer for the African-American family Feb. 5 as part of Black History Month, observed every February. The tradition of declaring the first Sunday of February as the prayer day was begun in 1989 by Franciscan Father James E. Goode, one of the nation’s leading African-American Catholic evangelists. Visitors to the website of Solid Ground, www.solidgroundministry.com, will find a link to a brochure, a prayer and further information to share with others. Father Goode is pastoral director of Solid Ground, a Franciscan ministry with African-American families. The priest also is the founder and president of the National Black Catholic Apostolate for Life. It also suggests families set aside time to discuss together “what you are willing to stand for,” such as respect for life; justice and peace; “the end of racism and hate”; the end of abortion “and all acts of violence”; respect for the elderly, women and children; and for the protection of the environment and all creation. “Or pledge to stand with the poor and oppressed, the forgotten, unwanted and unwelcome,” it says. In addition to Solid Ground and the National Black Catholic Apostolate for Life, several other groups are supporters of the special day of prayer, including the Black and Indian Mission Office, the Josephites, the Society of the Divine Word, the Order of Friars Minor, the Archdiocese of New York’s Office of Black Ministry, the Venerable Pierre Toussaint Scholarship Fund, the Knights of Peter Claver and Ladies Auxiliary, the National Black Catholic Clergy Caucus, the National Black Sisters’ Conference and the U.S. Conference of Catholic Bishops’ Secretariat for Cultural Diversity in the Church.